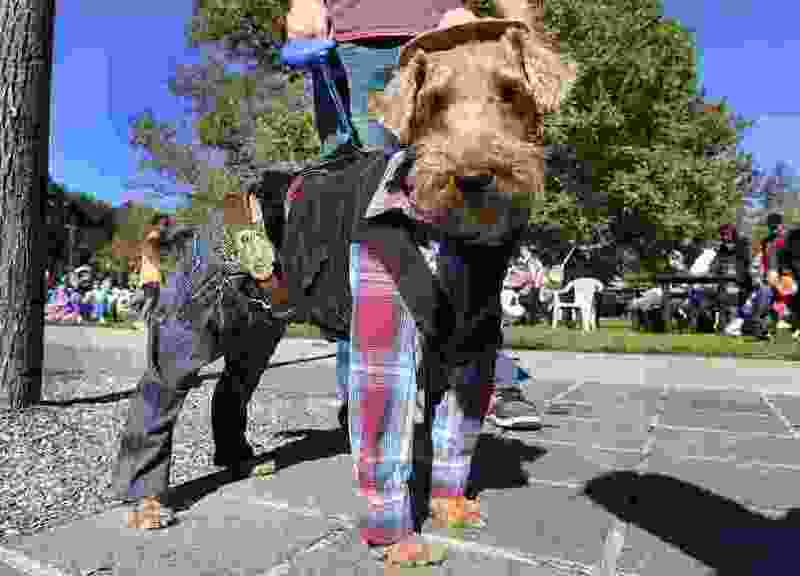 Scott Sommerdorf | The Salt Lake Tribune "Winston" the dog and his owner Brett Allman won the best of show at the "Howl-o-Ween" Pet Costume Contest in 2015. Salt Lake City’s Downtown Farmers Market comes to a close on Saturday, Oct 20. Celebrate the final day of this popular summertime event from 8 a.m. to 2 p.m. at Pioneer Park, 300 South and 300 West. Farmers still have plenty of local produce to sell, organizers say. 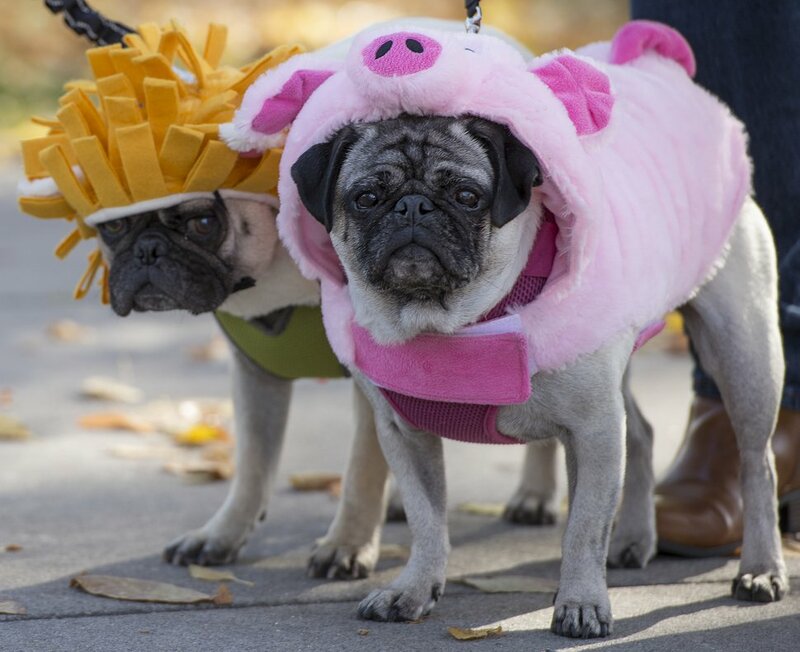 (Leah Hogsten | The Salt Lake Tribune) In 2017, Snoopy dressed as a lion and Lucy dressed as a pig for the Downtown Farmers Market's Howl-o-Ween Pet Costume Contest. 9 a.m. to 1 p.m. • Pumpkin decorating on the east lawn for children of all ages. 9 a.m. • Tsunami Restaurant & Sushi Bar will present Urban Food Connections of Utah, which runs the market, with a $3,000 check from sales of a special roll that featured fresh market vegetables. 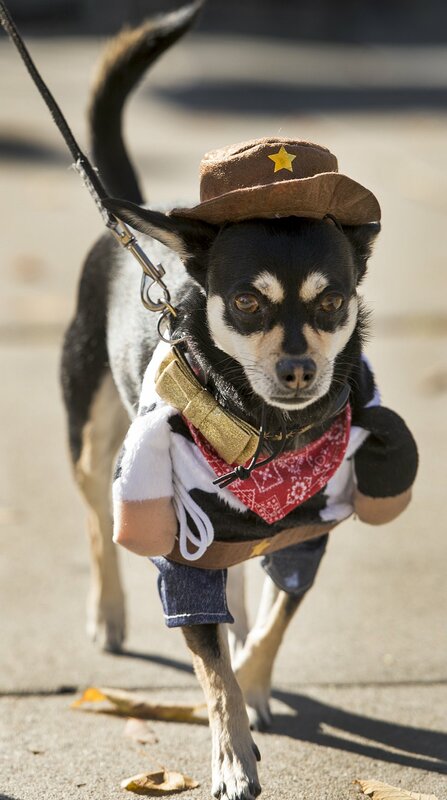 11 a.m. • Howl-o-ween Pet Costume Contest begins. Pets can win prizes, get a photo taken with their humans and watch the other contestants vie for best in show. Proceeds support the Humane Society of Utah and the Downtown Farmers Market. Register online at https://www.slcfarmersmarket.org/ or starting at 9:30 a.m. on the day of the contest. Cost is $5. Guests only have to wait three weeks for the weekly Winter Market to begin. It kicks off Saturday, Nov 10, at the Rio Grande Depot and continues every Saturday from 10 a.m. to 2 p.m until spring.